To celebrate the release of Show Dogs, available now on Blu-ray, DVD and Digital Download, we have teamed up with Entertainment One and are giving 5 lucky readers the chance to win a copy on Blu-ray. Follow the rebel dog with a cause, Max (Ludacris), who reluctantly teams up with a human FBI agent Frank (Will Arnett) to recover a stolen baby panda. A hot tip leads Max and Frank to Las Vegas and unfamiliar territory; the world's most exclusive dog show. To stop Max barking up the wrong tree, he must go undercover as a contestant to get the lowdown from his fellow canines. Along the way the street-wise Rottweiler and his hapless human must learn to work together; with help from their new friends, the crime-fighting duo, hot on the smugglers tails, must sniff out another kidnapping plot to save the day. To be in with a chance of winning, simply submit your name and address details to contest@whatculture.com, remembering to quote 'Show Dogs' in the subject line. 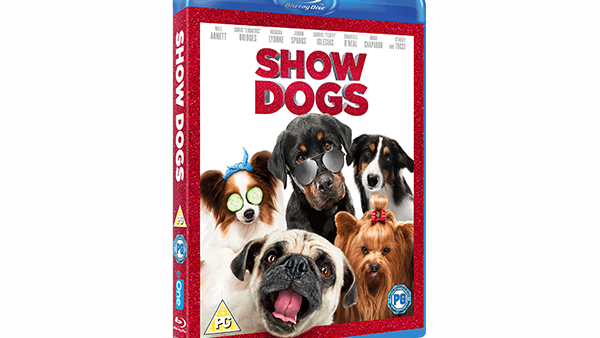 Credit: Show Dogs is available now on Blu-ray, DVD and Digital Download, courtesy of Entertainment One.